On the heels of the Plaza Art Fair comes news Highwoods Properties wants to sell the popular shopping and dining district. 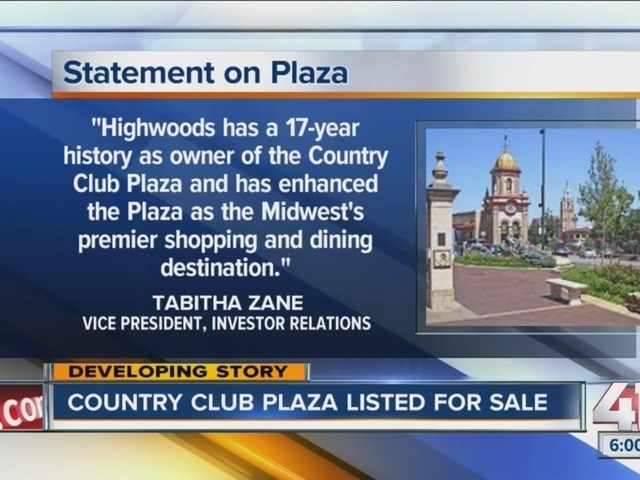 A statement from Highwood Properties states, “the company intends to list for sale all or substantially all of its wholly-owned Country Club Plaza (the 'Plaza') portfolio in Kansas City." 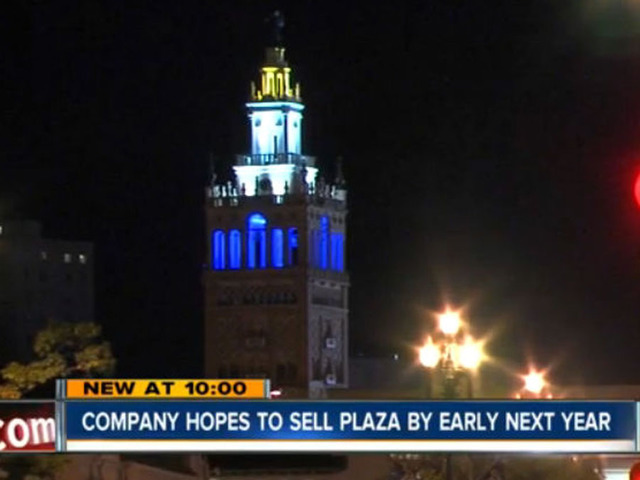 "Highwoods has a 17-year history as owner of the Country Club Plaza and has enhanced the Plaza as the Midwest's premier shopping and dining destination. Like everyone at Highwoods, I am proud of all we have accomplished. We remain focused on being excellent stewards of the Plaza throughout the sales process. We just wrapped up the Plaza Art Fair and are already focused on the Plaza Lighting Ceremony and the magic of the holiday season on the Plaza. The Country Club Plaza is Kansas City's Crown Jewel, not only now, but for generations to come." According to the initial release, Highwoods has selected Eastdil Secured to serve as listing agent. Highwoods Properties intends to use the proceeds from the sale of Plaza assets to repay the debt it incurred to acquire Monarch Centre (Atlanta) and SunTrust Financial Centre (Tampa). Tabitha Zane, Highwoods' Vice President of Investor Relations, says the decision has more to do with the company focusing more on office than retail developments. "Highwoods Properties has been a partner with the city in many respects. As a former business owner myself, I understand the need to make decisions that account for developing business opportunities and trends. As mayor, I believe the Plaza always has been a focal point of civic pride, and I don't expect that to change with ownership." To read the full release from Highwoods Properties, click here.